, “his path was enthusiastic and contradictory, it was shaped by great success and popularity.” But in the new industry, Graves was also viewed very critically. Nonetheless, his work is still received with great popularity today. 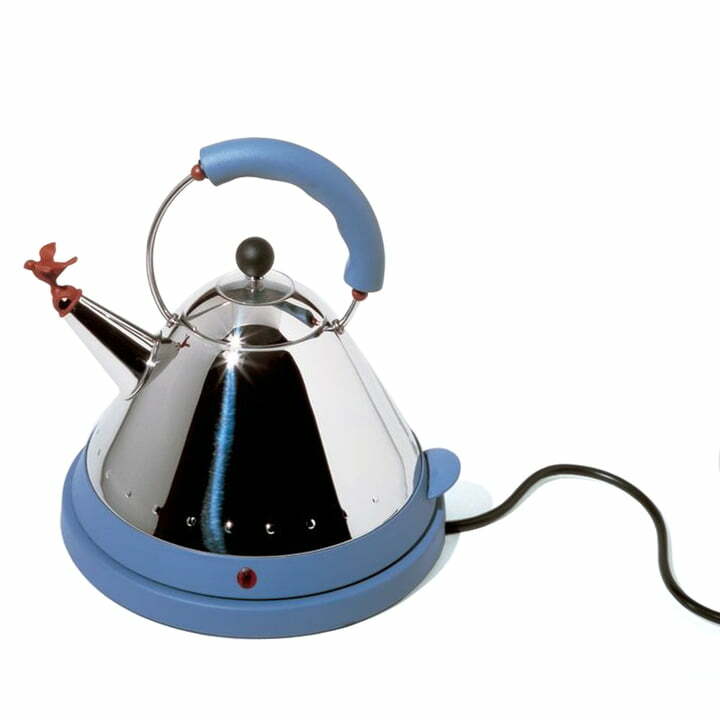 In 1984 Michael Graves designed the legendary "Bird Kettle". 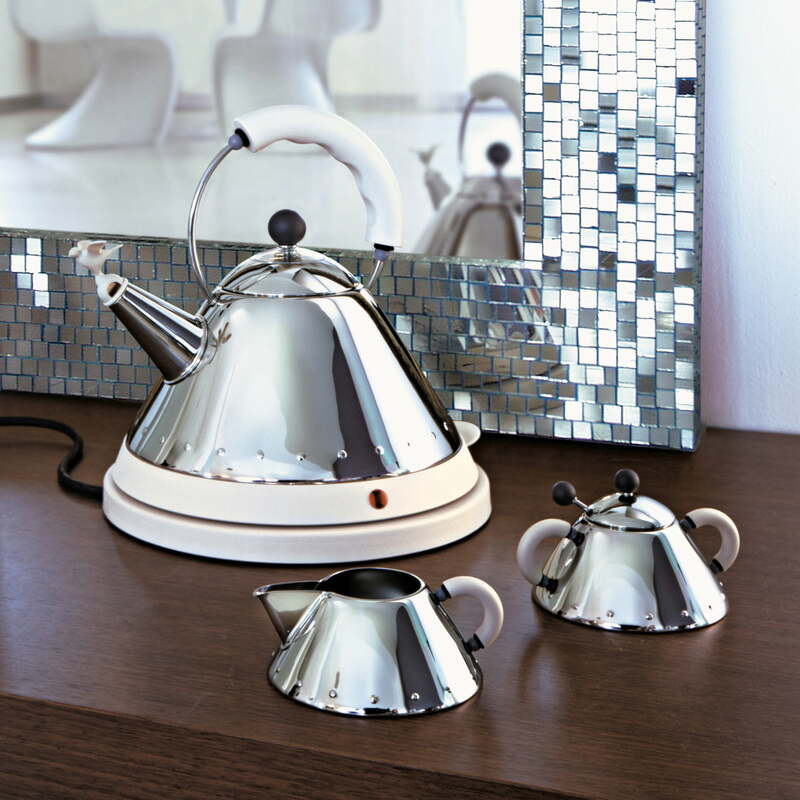 It was the first product which was designed by an American designer for Alessi. 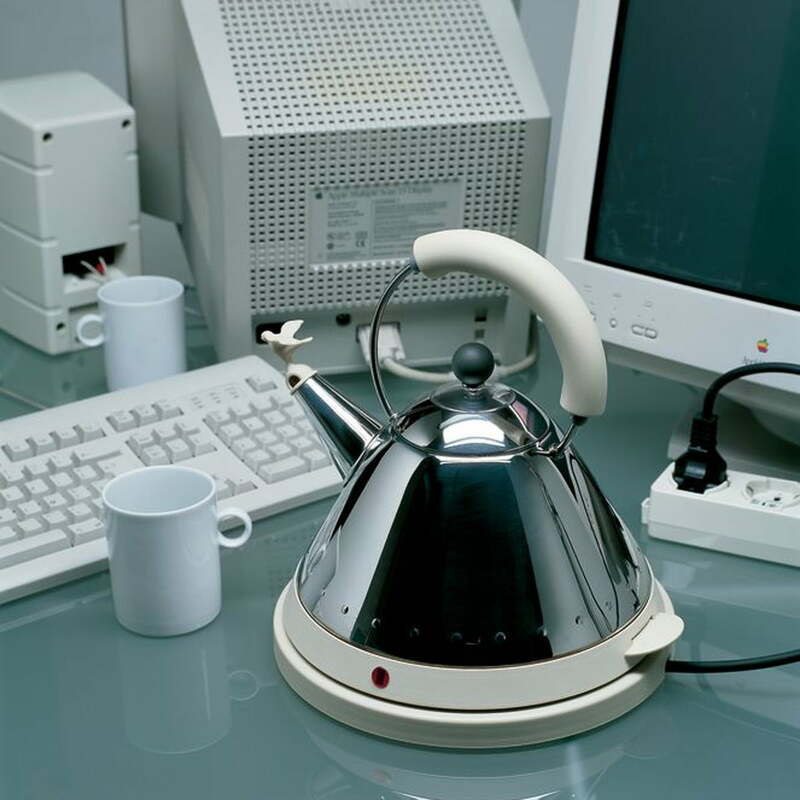 The MG32 kettle is a modern copy of the very same bird flute kettle - with the difference that it heats up the water electrically and is not tied to a cooker. 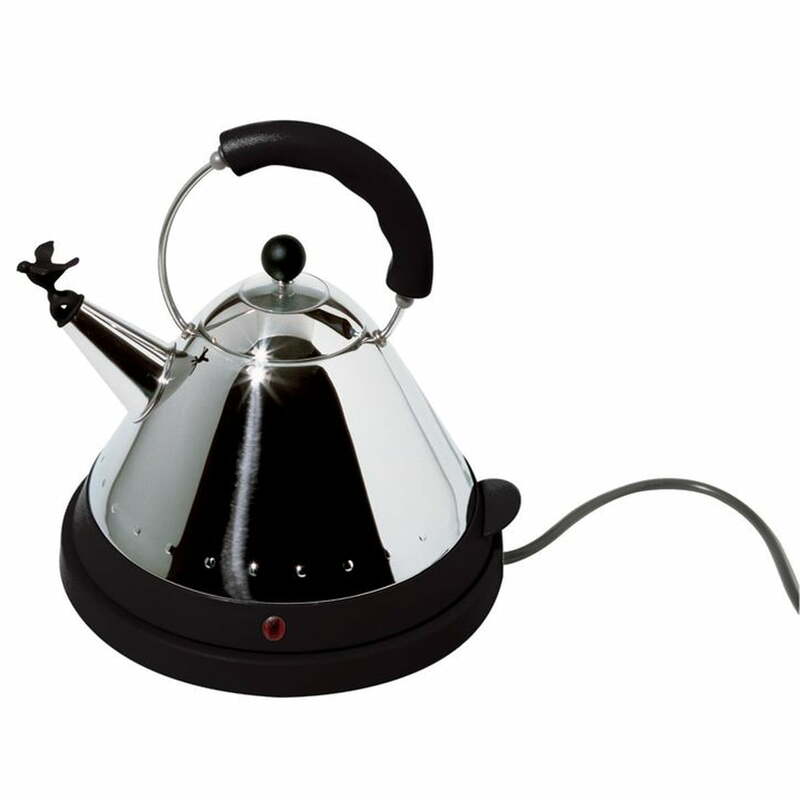 The MG32 kettle holds 1.5 litres and is made of stainless steel, while the handle, cap, and bird flute are made of PA plastic.